Opening Sentence: "Ian was broken English." Favorite Quote: "Grief is a dead horse. The body must be buried where it lies. Who can move the weight?" Many stories have been written about grief, the impact of divorce/loss on children, the bond between a child and an animal, and the healing power of animals. This book brings all these elements together. However, for me, the emotional impact of the story does not come. I think that is primarily for two reasons - one about the plot and the other about the structure and language. The plot is about an abandoned family. The father Robert French walks out one day. Shortly thereafter, he begins a new relationship. The mother Susanna and the two children are left to pick up the pieces. There is anger, recriminations, loss, and grief. The book is about teenager Teagen. It is her coming of age story in the midst of this loss, and it is about the power of an animal to ease that grief. It sounds like a powerful, emotional story. Unfortunately, the lingering effect of the story is that Teagen's grief manifests itself in what I might term first world problems. 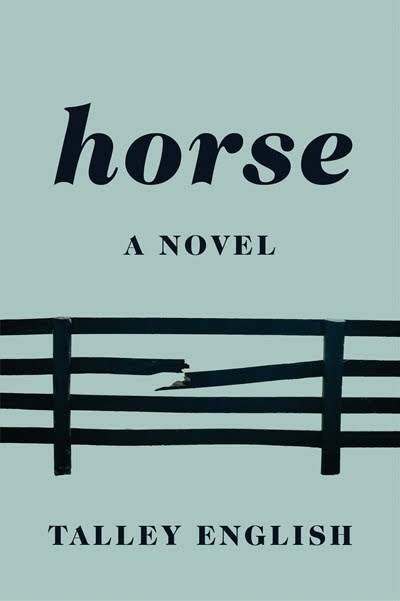 Following her parent's separation, Teagan goes away to boarding school which allows her to bring her horse and train in riding. The horse she takes is her father's prize horse. Ian (the horse's) intensity seems to match Teagan's. Both parents individually remain in Teagan's life. She leaves friends at home and finds friends at school at least at the beginning. When needed, Susannah is able to get professional help to deal with Teagan's emotional well being. All these signs of the things that are possible in Teagan's life do not undermine the grief or anxiety that a young woman may feel at the dismantling of her family. However, the story becomes more about these elements of her life rather than an expression of that grief. As such, they become harder to get past to get to the emotion of the book. The other thing that, for me, mitigates the emotional impact of the story is the structure of the story telling. The book is written in very short chapters; the writing clearly reflects the author's background as a poet. The very short chapters change abruptly between different parts of Teagan's life - family life before her parents' separation, the time Teagan spends at the boarding school, and a time when Teagan returns to her childhood home as an adult. The timeline jumps, and the narrative voice changes. At times, I find myself rereading to determine where the story is. The emotional jump from a teenager facing her parent's divorce to an adult reflecting on that experience is also a difficult one. It all gets a bit confused, which creates a distance between reader and story. Finally, the ending is not one I see coming and not a turn that I truly understand. It seems an abrupt decision of a teenager. Teagan does follow through on it. It is perhaps the emotional distance of the book that prevents me from understanding the bond between Ian and Teagan and Teagan's decision in light of that bond. The overall impact is unfortunately of a melancholy but vague story.